On speaking up and speaking out: The value of original thoughts. Copy-and-paste is fine if you are trying to point out what someone else said and/or the fact that you agree, disagree or have an alternative viewpoint. 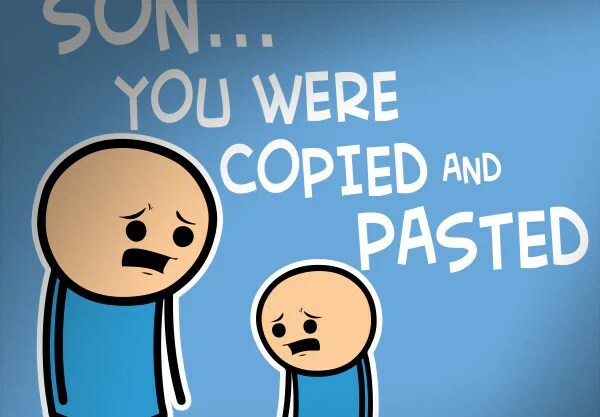 Copy-and-paste is dishonest if all you are attempting to do is impress others with an implication that you are expressing your own original thought masquerading as someone else’s magic. Someone else’s magic is not what cooks well on your stove. You are moved to get involved but are not fully informed on the  specifics behind why you are aroused or motivated to join in the debate. In the absence of doing your homework, you let someone else give you talking points and acting points … things you can say or do that at first glance seem to work for you. You don’t question, search, ponder or pray … you just start talking and acting according to someone else’s coaching. Like so many who appear in the sensational stories of broadcast media … you don’t fully know or understand what you are talking about. By merely mouthing someone else’s opinion (which honesty requires that you acknowledge rather than pretend that you thought of it yourself) you remove all doubt as to whether or not you know what you are talking about. Take it from someone who has by experience learned that fact the hard way. Do your homework before you open your mouth or write your piece. Study things out in your mind, take time to learn and understand what you want to speak to … and admit when you have mis-spoken or written something that is not true. Then compose your own expressions of how you feel. No matter how well or poorly you speak and write, the more you write and speak, the better you’ll get at it. 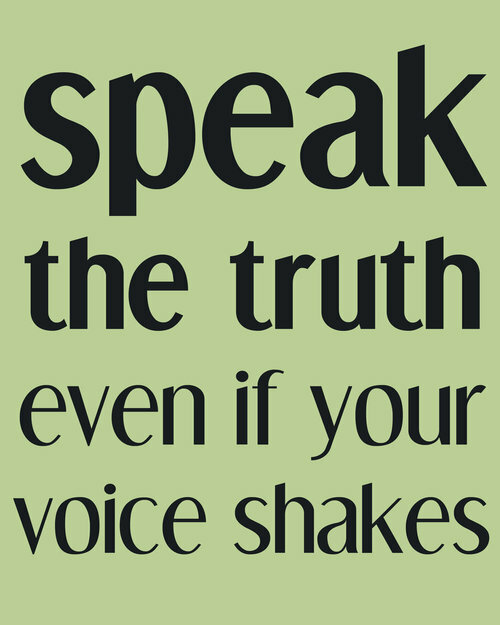 Let real honesty govern what you say. Not the grandstand honesty coached by someone telling you how. Ponder this quote from a sitting American President in 1958. Writers will tell you that if you want to learn to write, start writing and keep writing. For example, there is no better way than to find opportunity to stay engaged in writing about an issue than to start a blog,  write frequent letters to the editor, or contribute in other venues of writing that will be seen by the public. Want to speak out effectively? Stay calm, poised and try not to shout and sputter saliva at the object of your attempted persuasion. It takes a bit of practice but in reality, what is needed is a sufficient number of activities in which you say what you have thought out. You can be angry, express yourself in strong terms, throw in sarcasm, satire, criticism -whatever. Just work on staying cool when you do. Speak and write, write and speak … enough small successes generate confidence. Mostly however, research your subject. You’d be surprised to realize how many in a crowd will sense how ignorant you are about the issue  and see through you to realize that you are verbalizing someone else’s words. One line of verbal or written silliness – revealing more ignorance than wisdom – causes more loss of impact among those who listen to you and sincerely want to know than any mere extra-marital scandal involving a politician with whom you agree. People are more persuaded by well-thought-out and well-expressed original thoughts than any stump speech or slogan offered over and over again. A lie is an un-original thought masquerading as truth. A lie is a slogan without conscience. At the end of the road, a lie is Commodus stabbing Maximus in the back but then failing in the arena while attempting to fool the crowd. This entry was posted in Civic Duty, Critical Thinking, originality, speak out and tagged speaking out by Arthur Ruger. Bookmark the permalink.